The main oven has a balanced air-flow convection fan and gas broiler. The useful auxiliary oven, without fan, has a special low temperature setting. 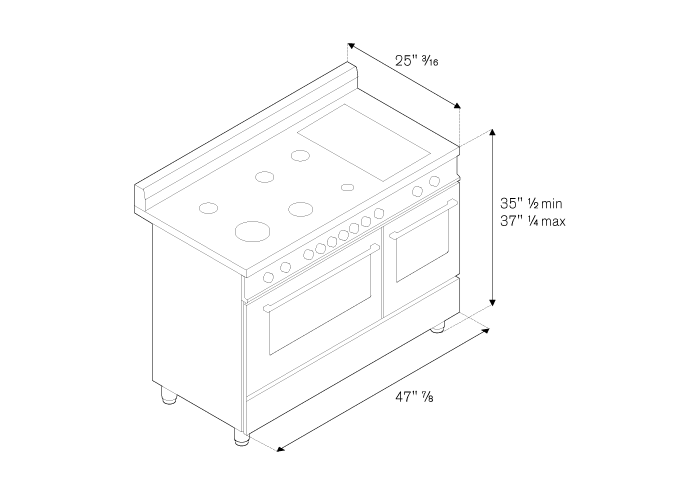 Both ovens include telescopic glide shelves and soft-motion hinges. Triple-glass doors minimise heat loss. Matching range hood and backsplash available.